I'm used to GNOME Classic and personally don't want to change to anything else, but it seems there is no more GNOME Classic in the Oneiric release. After apt-get installed gnome-session and all, though there comes back the GNOME Classic option in the session listbox, however, after logged in, it seems not the expected one. There is no System menu in the top bar, and I couldn't customize panels at all. I want to change the appearance(theme), but I can't find Appearance menu at all. And much more differences to my previous experience of GNOME classic shell. 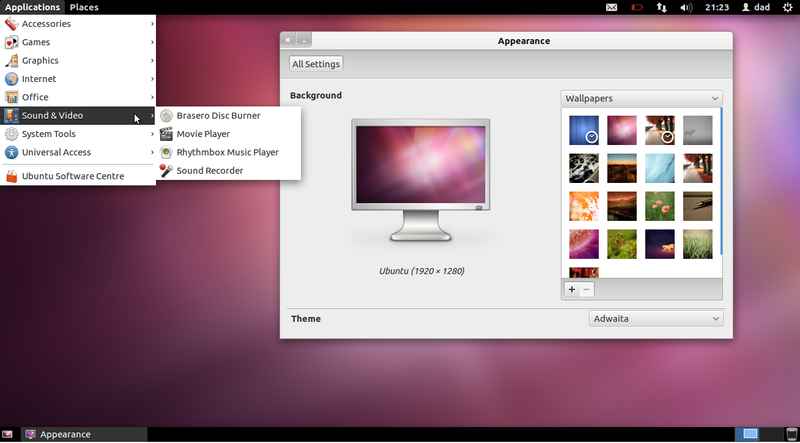 The older GNOME 2.x experience has been retired in GNOME, however you can use the GNOME 3.x classic mode (as shown below) to make an approximation of the older experience. Similarly - search for CompizConfig Settings Manager and install this package - we'll need that later. 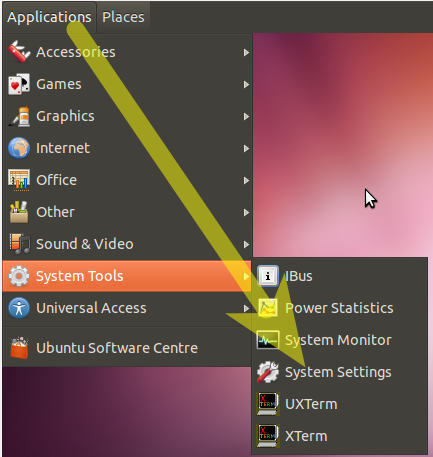 Whilst you are there you can also install gnome-tweak-tool to further customise your desktop. 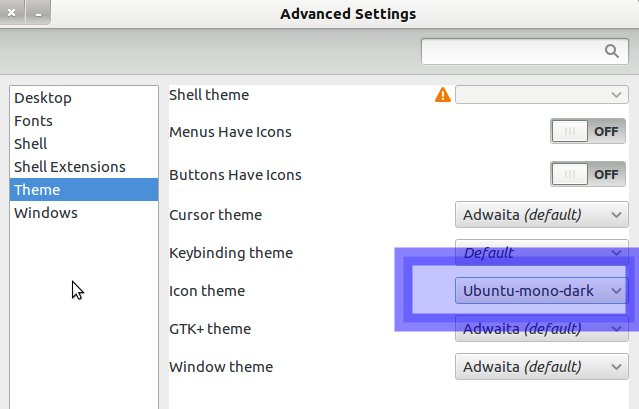 You'll notice that the default Ubuntu Ambiance theme doesn't look great in Gnome Classic. We can correct this by changing to a Gnome 3 friendly theme. Note - see the linked questions below for other theming options. Repeat the Alt+Win + Right Click the date and choose Delete to delete the clock. Repeat this delete procedure for the other applets on the top-panel. Note - if an error appears indicating that the Panel has reloaded you can safely ignore this. Repeat the Alt+Win + Right Click the top panel - add the applet Accessibility. Repeat the Alt+Win + Right Click on bottom panel - add the applet Show Desktop and move to the bottom left. Repeat the Alt+Win + Right Click on bottom panel - add the applet Wastebasket and move to the bottom right. Now we need to change the number of workspaces back to two. 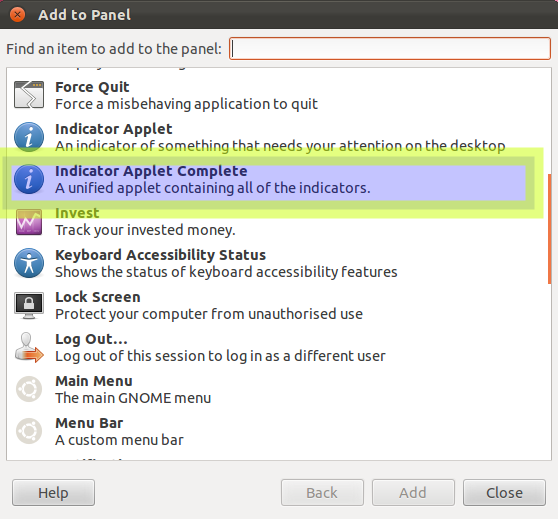 Finish off by Alt+Win+Right click the indicator-applet and move it to the right side of the top panel. Delete extra toolbar on top of the screen in GNOME fallback mode? How do I revert Alt-tab behavior to switch between windows on the current workspace? 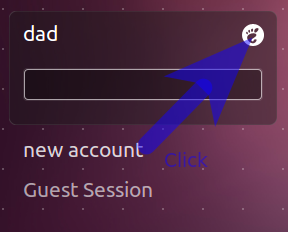 If you use autologin you need to do this: How do I set the GNOME Classic login to be the default with autologin? After clicking Add, add the Universal Access applet. Alt+Win + Right Click over the Wastebasket and move to the bottom right. 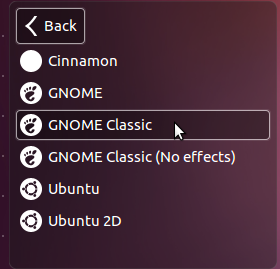 As far as just the look of the panel goes, see my answer to How to customize the gnome classic panel for how to get back quite close to the original look. This is accomplished by, amongst other things, reducing the top panel's height and its icon sizes. 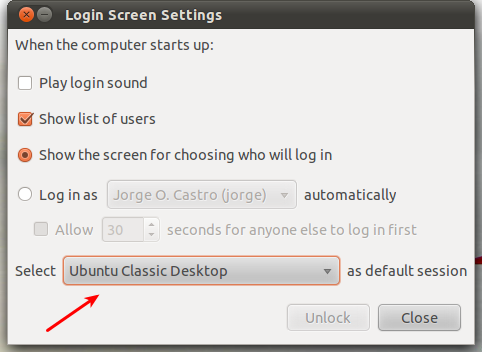 With Ubuntu 13.04 you can install the Gnome classic desktop in exactly the same way as for Ubuntu 12.04 and 12.10. Ubuntu GNOME has become an official derivative. Ubuntu GNOME (formerly Ubuntu GNOME Remix) is a mostly pure GNOME desktop experience built from the Ubuntu repositories. As the 12.10 release was our first release, there are still a few minor issues, but we proudly recommend Ubuntu GNOME to anyone interested in using Ubuntu with the best of what GNOME has to offer. You can install this the same as any other Ubuntu from a live DVD and forgo anything related to Unity. Or install it as a dual boot alongside Ubuntu. sudo add-apt-repository "deb http://tridex.net/repo/ubuntu oneiric main"
Then simply log out and MATE should be a desktop option. I tested it on Oneiric 32-bit, and it installs fine. Takes 310MB of storage, according to apt-get. Didn't require any packages to be removed or updated, so it should play well with others. Note that it's still a young project, though, so bugs and quirks are likely. There's no Ubuntu branding/theming by default, but it takes the built-in themes (like Ambiance) reasonably well. And it includes the much-missed (for me, anyway) System menu! sudo sh -c "echo 'UNITY_FORCE_START=1' >> /etc/environment"
It depends on what you want instead. You can no longer use Gnome2, at least not as easily. You can do a sudo apt-get install gnome-session for Gnome3 (which is worse than Unity imo) or you can get the lightweight xfce4 desktop sudo apt-get install xfce4, which is older looking, but very similar in functionality to Gnome2 (possibly even better). Another popular alternative is KDE, which you would get with sudo apt-get install kubuntu-desktop. Removing unity should be possible with sudo apt-get purge unity, though be careful, as it could inadvertantly uninstall software you may want. I recommend against removing Unity completely, and instead using one of the above desktop managers along side it. To switch which one you use, just hit the little gear icon above your password field on the login screen. If you are running 14.04 fellow this instructions. If you are running 12.04-13.10 fellow this instructions. 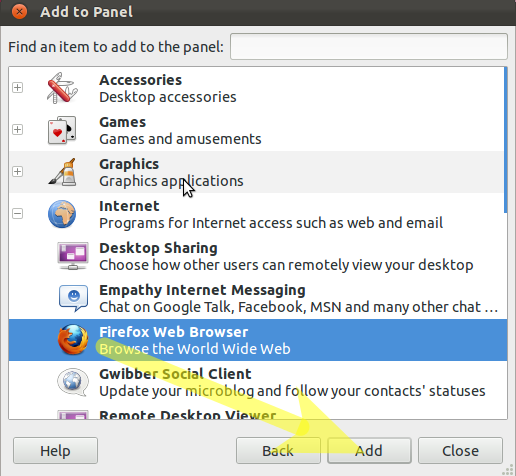 Ubuntu has an XFCE spin called Xubuntu it is recommended to install it from the official image (.iso) that can be downloaded at this page. Step 2. Make them look like Ubuntu 10.04. You need to get the Ambiance Theme so open up a terminal and type this in. 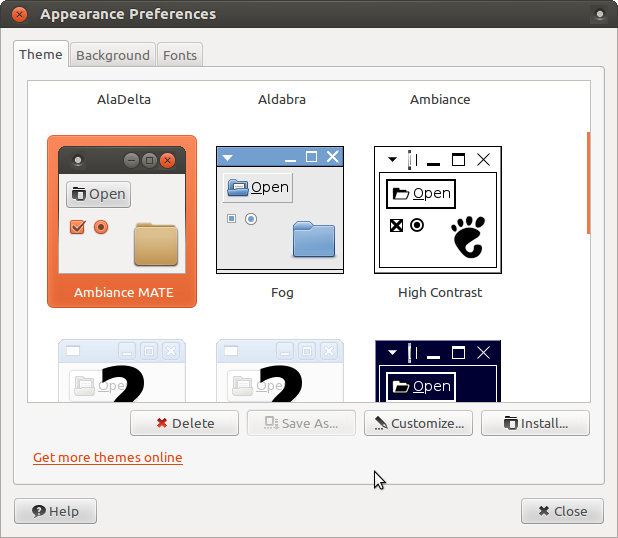 After it is done install, change the Theme to Ambiance MATE so open the Appearance preferences (located under System -> Preferences) and select the Ambiance MATE theme. After it is done install, change the wallpaper to the default in 10.04 so open the Appearance preferences (located under System -> Background) and select the the default in 10.04 wallpaper. *Sorry I couldn't find a image for this micro-step. 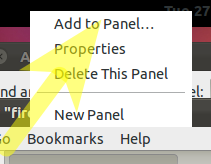 First, Remove the the button panel by right clicking on it and select Delete. 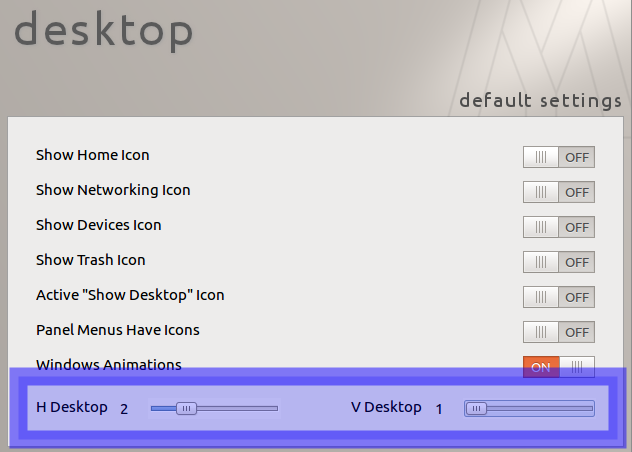 Add the Show Desktop, Window Buttons, Workspace Switcher and Trash Applet to the new button panel. Now we are done with the button panel now it is time for the button one so chance the panel size to 24px by right clicking on it and select Panel>Panel Preferences. Rename “File Manager” menu into “Places” by opening the handy terminal and type in sudo nano /usr/share/applications/xfce-settings-manager.desktop find the entry Name and change the entry into this Name=Settings Manager → Name=System save it and close it. Now Right click on the Panel Select Panel Preferences Than Items. Remove all default items and left 8 eight items : Applications Menu, Separator, Notification Area, add a separator between Applications Menu and Notification Area to be Expand by click the item, and click edit item by select Edit the currently selected item button at the bottom of Panel Preferences menu. Then, add two Launcher items and move them to the position after Applications Menu item. Set them to Show Label Instead of Icon, by clicking Edit the currently selected item>Advanced> Show Label Instead of Icon. Now, edit each launcher and add the two main applications. For first launcher, add the Places items by clicking Edit the currently selected item>General>Add new item, search and scroll down to get the Places item. 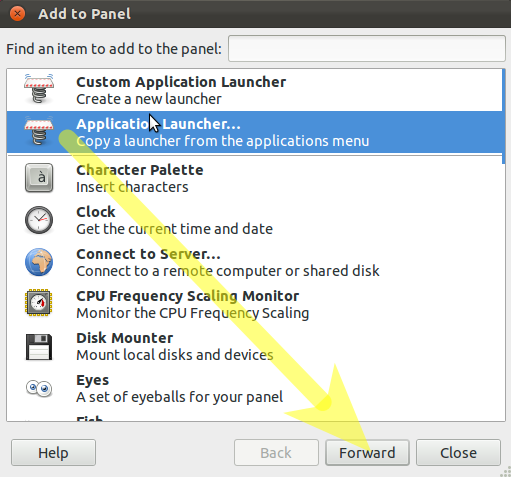 For the second launcher, do the same but put the System item (that we have edited before from the xfce-settings-manager desktop menu). 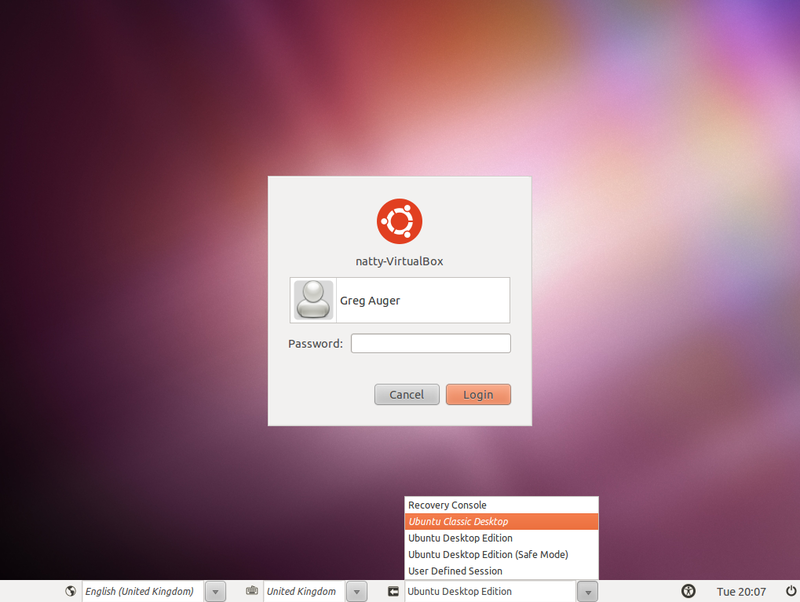 Now, we have a good looking Gnome 2 panels. After it is done install, change the Theme to Ambiance. After it is done install, change the wallpaper to the default in 10.04 so open the Desktop Settings (Right on the desktop -> Desktop Setting) and select the the default in 10.04 wallpaper. During the installation you will get a window asking you to choose your default DM, like the one in the print screen. Choose MDM. 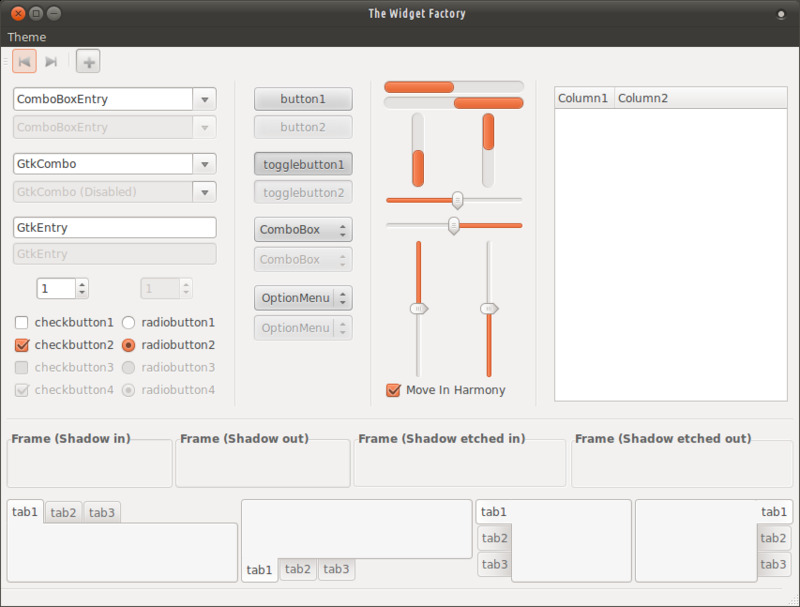 MATE is a lightweight desktop environment that uses the traditional panel desktop layout used in pre-Unity Ubuntu. 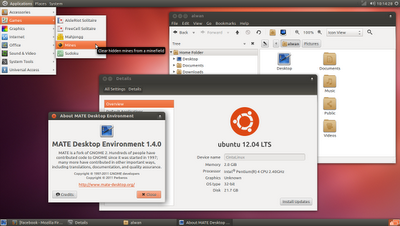 The MATE desktop environment can be configured to have either one or two panels. Starting with mate-desktop-environment 1.20 MATE desktop environment has true high DPI support. High DPI will be supported by default in Ubuntu MATE 18.04 and later. Open the terminal, and complete the following steps to enable the appropriate PPAs and install MATE 1.8.1 on Ubuntu 14.04. This is assuming you have Ubuntu 13.04 installed. For Ubuntu 12.04 substitute precise for raring. For Ubuntu 12.10 substitute quantal for raring. You just need to download another desktop environment that you like the best and then switch to that environment on the login screen. I think it keeps your preference for the next time you get on, so you don't have to select your environment of choice every time. Not the answer you're looking for? 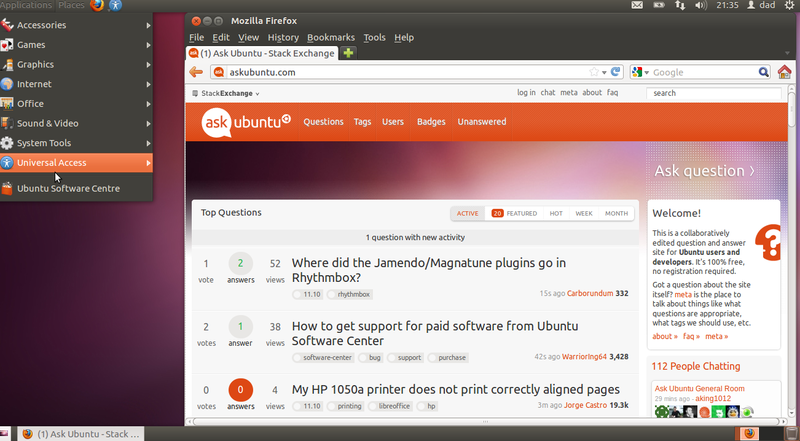 Browse other questions tagged gnome gnome-classic or ask your own question. Just upgraded to 11.10 - How do I disable Unity? 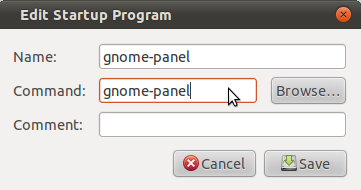 How can I get gnome-panel in ubuntu 11.10? Can I have old gnome 2 in ubuntu 11.10? Is Classic mode gone from 11.10? How to install/start Ubuntu classic? make 12.04 look like 10.04, please! Is there a future for Gnome Classic? How Can I Set the Unhide Speed of the Gnome-Classic Panel? GNOME Shell is simply Gnome Classic. What am I doing wrong? how to troubleshoot the Gnome Classic Session? Cannot get GNOME CLASSIC on Ubuntu 18.04 any more!